- Montreal All-Star Wrestling Stadium Show (July 17, '72) = Rougeau beat Don Serrano. 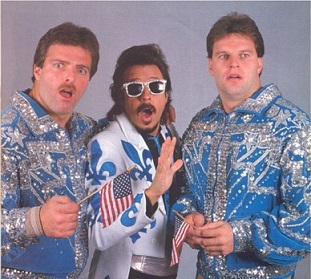 - WWF The Big Event (August 28, '86) = The Fabulous Rougeau Brothers (Raymond & Jacques) defeated the Dream Team. 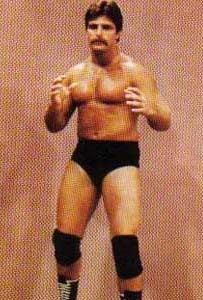 - WWF Saturday Night's Main Event #18 (November 16, '88) = The Fabulous Rougeau Brothers beat the Young Stallions. - WWF Survivor Series '89 (November 23) = The Fabulous Rougeau Brothers, Rick Rude, & Mr. Perfect fought in an "Elimination" Match against Roddy Piper, Jimmy Snuka, & the Bushwhackers. Raymond was eliminated by Piper. Mr. Perfect was the 'sole survivor'.